Badge holders are able to explain the purpose and value of change management within different types and sizes of organization. They can identify basic concepts of good personal communications, common challenges and techniques that can be used to enhance the change management process. 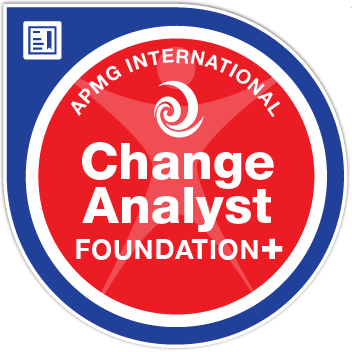 They understand and can explain how change management controls and maintains quality, as well as define the main interfaces between the change analyst and other process areas within IT service management. Badge holders have passed a complex multiple choice exam, scoring a minimum of 13 out of 20 marks available (65%). The exam is 60 minutes in duration (Scenario Booklet used during examination).